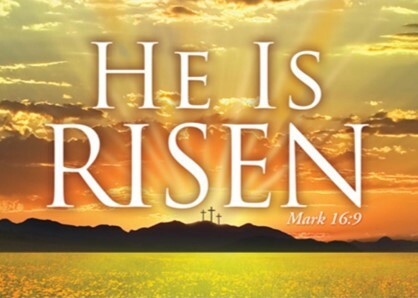 Easter is important because it provides hope in our world. In the risen Jesus, God affirms all that is good in each of us and asks us to follow in the steps of his Son by working together to build up the Kingdom, trusting that the Spirit of Jesus is within us empowering us in ways that go beyond what we can imagine. We are fortunate at St Joseph’s College because we have the example of Jesus as well as the example of Saint John Bosco. Don Bosco’s message is clear for us – we need to continue to be a place of welcome, a playground where we meet our friends and enjoy each other’s company, a parish that evangelises and challenges each of us to live out the gospel values of love, kindness, forgiveness and respect. We strive to be a place that prepares for life and, although we are imperfect, we do our very best to assist your sons. Through the work of students and staff in raising awareness and funds, the Project Compassion appeal enables Caritas to provide resources to people within communities who desperately need assistance for the basics of food, water, shelter, access to education. 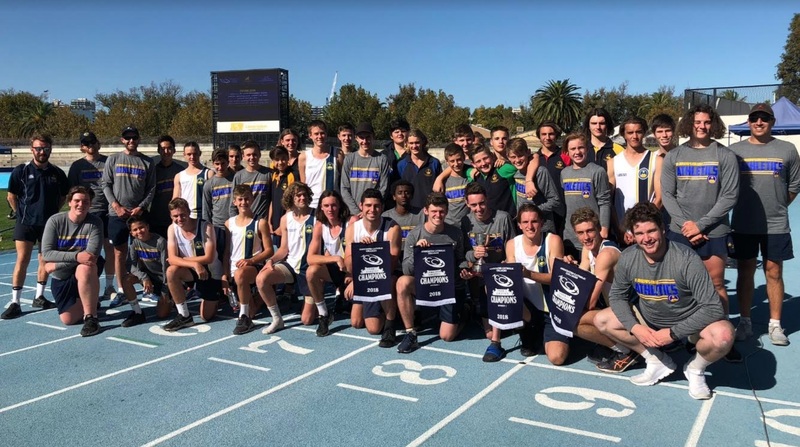 On Wednesday 28 March, the College ACC Athletics Team performed very well finishing in 2nd place to St Joseph’s College, Geelong. The team won the U13, U15 and U17 flags as well as the Senior Cup. Congratulations to all members of the team as well as Mr Matt Dunn, Mr Paul Trubiani and all staff who assisted over the many weeks of training. A ‘new student’ has recently come on board – ‘Miss Steffy Judd’. Steffy is being trained by the Judd family for the next 12 months. 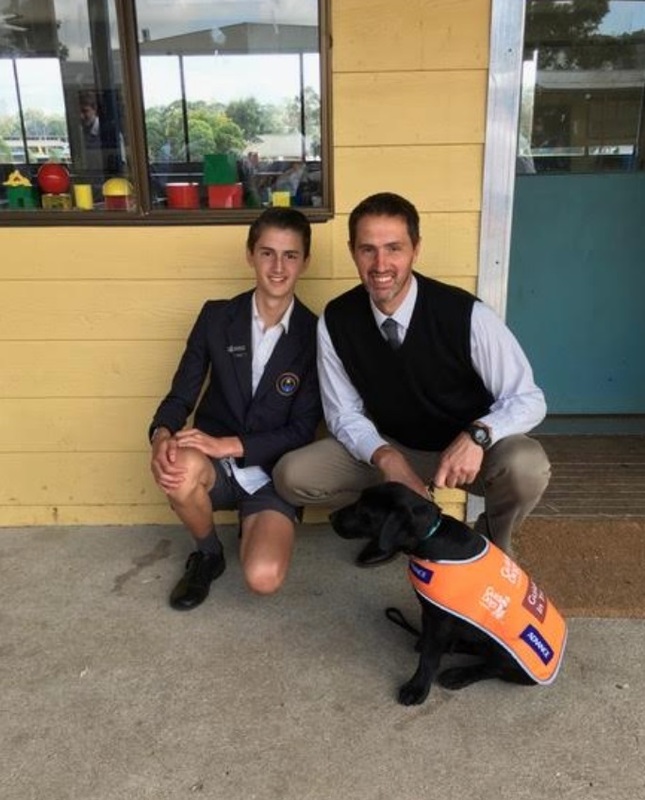 She will have an excellent attendance record at Valdocco Campus as she learns all the necessary skills to become a Guide Dog. Pictured are Tom Judd (9 Edwards), Mr Martin Judd and Steffy. As the term draws to a close, I would like to acknowledge the work of the staff in assisting the boys to focus on study, embrace opportunities and live their lives in kind and considerate ways. On behalf of the staff, I extend to you the blessings of the Easter season. I wish you and your families a happy and safe holiday period, and I look forward to seeing you again in Term 2 which begins on Tuesday 17 April.